Angel Maria Villar Llona. Source: Google. This material belongs to: AFP. 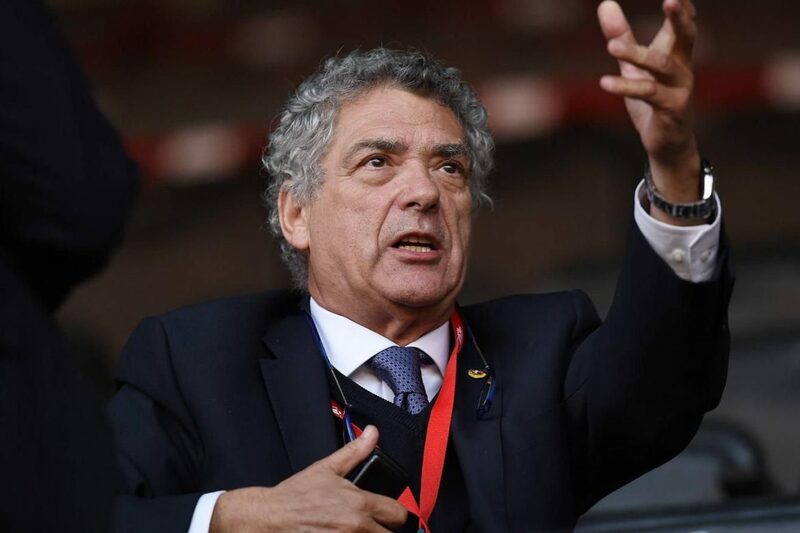 Deposed Spanish football boss Angel Maria Villar, in custody on corruption charges, has resigned as vice-president of both FIFA and UEFA, the two governing bodies announced on Thursday. The 67-year-old’s near three-decade tenure as head of the Spanish federation ended this week when he was suspended following his arrest on July 18. “Mr Villar has stood down from his post as senior vice-president at FIFA,” a spokesperson for world football’s ruling body told AFP. At UEFA, European football’s governing association said his resignation tendered “with immediate effect” on Wednesday had been accepted by the organisation’s president Aleksander Ceferin. Ceferin “thanked him for his many years of service to European football”. “Following his resignation, Mr Villar will no longer have any official functions at our organisation. “In view of the on-going court proceedings in Spain, we have no further comments to make on this matter,” the statement concluded. Villar, who denies all charges against him, was detained with his son as part of a fraud probe launched last year. Also arrested in a series of early morning raids on federation headquarters and other sites last week were the Spanish federation’s financial vice-president Juan Padron and Ramon Hernandez Baussou, general secretary of the Tenerife federation. They face charges including falsifying documents, misappropriation of funds, collusion and administrative breaches linked to skimming profits from international friendly games. Villar has headed the Spanish federation for the past 29 and under his watch Spain became one of the dominant forces in world football, winning two European championships and the 2010 World Cup. Following his re-election in May, El Pais newspaper denounced his “despotic” management and bemoaned his close ties to FIFA and UEFA leaders embroiled in corruption probes.